If you are interested in purchasing a toucan as a pet, we highly recommend reading-up before buying. Toucans are exotic animals that require special attention when considering their diet, housing and compatibility with other animals. Please review this page to familiarize yourself with toucans and what it takes to be a successful toucan owner. 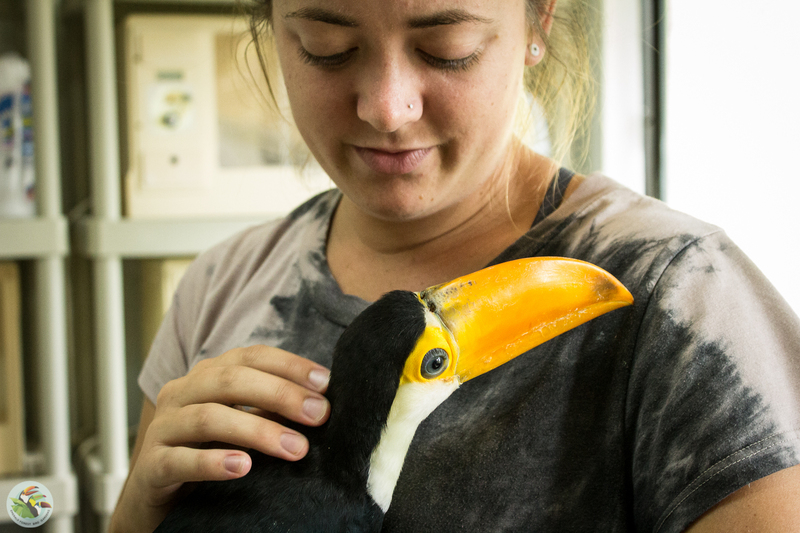 We have compiled all you need to know about caring for toucans in a downloadable EFBG CARE SHEET. You are welcome to print this off for quick reference when caring for your toucan. For additional information about toucans in the wild and where these animals originate please review our EDUCATION page. Yes, depending on the circumstances. 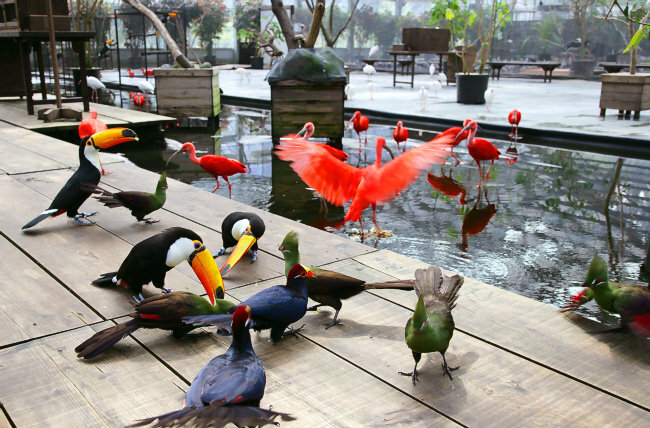 There are several places you may visit, where you can see several species of toucans together mixing with other types of birds in free flight aviaries. Most notable of these facilities are the Matsue Vogel Park in Japan and the Dallas World Aquarium in Dallas, Texas. The average toucan owner is likely to have only one toucan and maybe a couple other pet birds at home. If all the birds in the home are wing clipped and unable to fly, then free flying interactive birds are not possible. Nevertheless, toucans can and will get along with other birds if properly trained and this training is best accomplished with young birds. 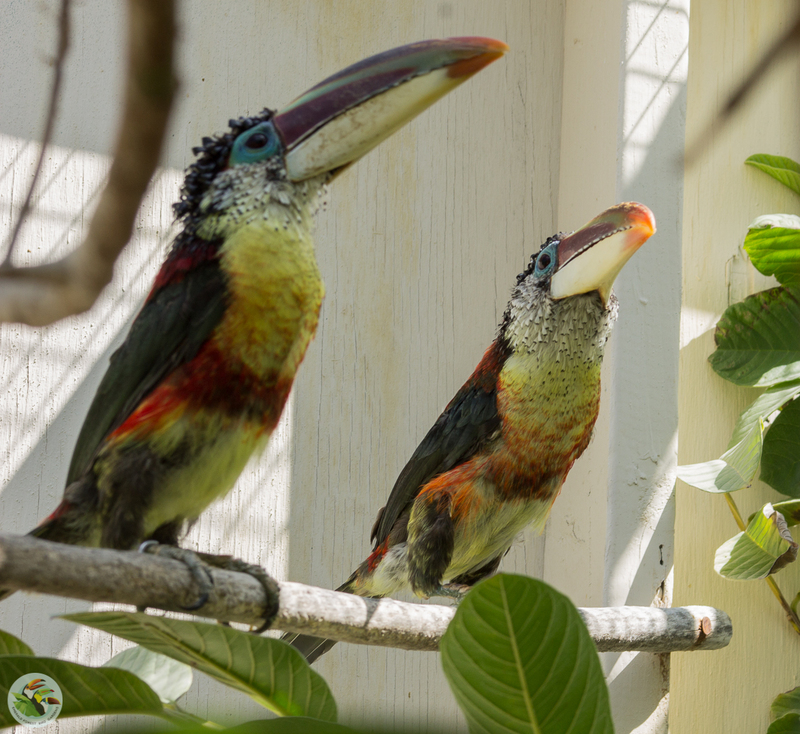 Toucans will sit peaceably next to other birds on perch stands and in adjacent cages. On occasion some minor conflict may arise, but training will resolve this issue. Large parrots such as macaws are potentially hazardous to other birds if they get close, so if toucans are mixing with macaws, be certain the macaws will not attempt to bite the toucan. A macaw bite can quickly remove toes and legs of other birds as well as damage beaks. Whenever mixing birds together whether it is toucans with toucans, or toucans with parrots, or parrots with parrots, always plan to spend considerable time observing the birds from a distance to be certain there will be no aggression. If aggression occurs, it is possible to eliminate it with training. Everything is possible with patience and perseverance.